Ms Mae is four. Ms Mae is four and ever so grown up! What can her family and friends learn from the passing of another 365 days. 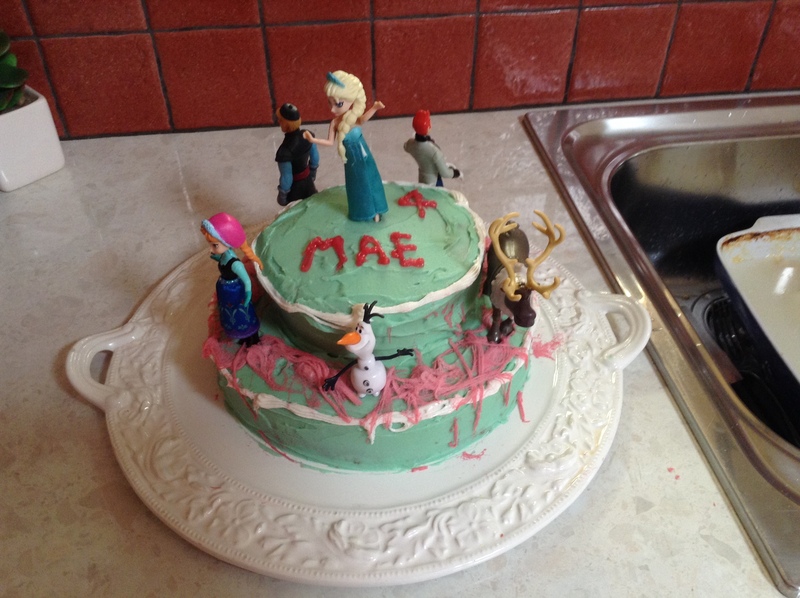 As clichéd as it sounds, the Frozen themed cake chosen by the angelic birthday girl was ever so fitting. In the year it took for Mae to add assume the proud title of ‘ Ms Four’ their have been many a challenge bestowed upon her nearest and dearest. Health scares, illness, fatigue and mental exhaustion, babies born and new additions on the horizon, friends acquired and departures from this life to the next, house sales and house acquisitions, job changes, challenges and upsets. Many a life lesson learnt, and all of them acquired the hard way, the only way….. Through the toil and tears, heart ache and heart-break, joy, tears, laughter and sorrow, there has been one constant….Ms Mae and her smile, a daily reminder for us to ‘let it go’, the stress , the worry, and as best as one can, endeavour to live in the here and now. Not as easy task when faced with the blizzards and snowstorms of 2014. But so often the rainbows, sunshine and clear skies of the past year were due to Ms Mae. So Happy Happy Birthday and thank you…..For your smile, your laughter and the love you give to family and friends…Gifts which you give willingly and freely, making it easier for us all to’ Let it Go’ when the going gets tough. 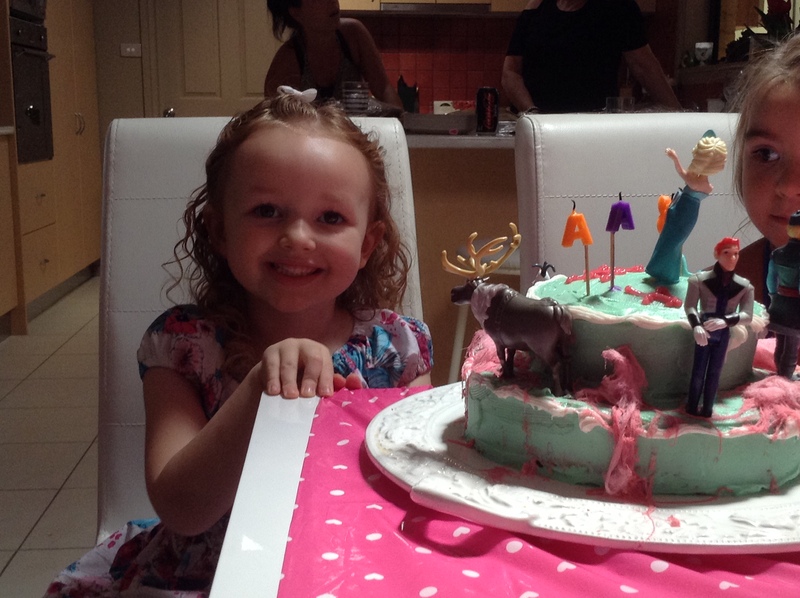 She’s a cutie, and I wonder did the producers of Frozen have any idea how many birthday cakes their creative endeavours would spawn.